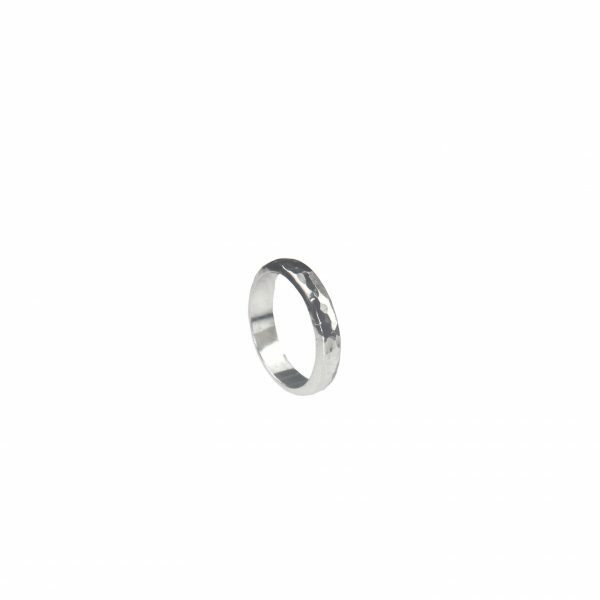 The oval ring is roughly 4.5mm by 2.5mm, perfect as a statement ring for both men and women and the perfect wedding ring. It has a beautiful hammered finish on the ring which catches the light. Each one is handmade and hand cut using only a wee hacksaw, they are then soldered and polished by myself here, on the Isle of Raasay.